If you've heard the term 'Designer Dogs' you might not be exactly sure what that means. Although the tag 'designer' is applied to tons of different products, we don't necessarily expect it to apply to living creatures! In a nutshell.... the term 'designer dog' covers any puppy born from two purebred parents... of DIFFERENT breeds. They're are also often called 'hybrid dogs'. The cute little guy to the right is a Shorkie puppy - a cross between a purebred Shih Tzu and a Yorkshire Terrier. 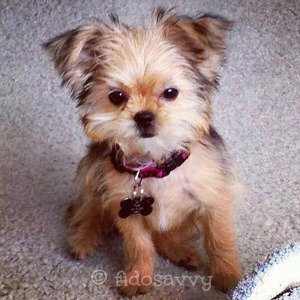 Designer Dog Breed Or Simple Mixed Breed ? Now, you might already be already asking yourself "so, what's the difference between a designer dog and a mixed breed?" Any dog that wasn't purebred used to be thought of as a mixed-breed. But now, a mixed breed pup is generally considered to be the result of the blending of a number of different breeds because one, or both, parents are mixed breeds themselves. The heritage and ancestry of mix breed puppies is often hazy at best, and most likely a totally unknown quantity. The first generation designer dog (known as an F1), is the direct result of mating two purebred dogs of different breeds. An F3 pup is the result of a mating two F2 hybrids. F1b puppies are the result of breeding an F1 hybrid back to a purebred dog of either the mother or fathers breed (eg. an F1 Goldendoodle X purebred Golden Retriever). F2b pups are produced by breeding an F1 dog to an F1b backcross dog. It's kind of a mixed bag when it comes to this, and there are strong opinions on both sides of the fence. It's well known that every purebred dog breed is troubled by at least one (and usually many more), genetic or hereditary illnesses or problems. This is due to the level of inbreeding that takes place in order to keep a breed 'pure'. Available research shows that designer dog breeds, and mixed breeds, are less likely to suffer from genetic weaknesses and are generally healthier overall than their purebred cousins. However, it's very important to pay attention to the specific purebreds that are producing a particular hybrid. If both parent dog breeds share the same genetic weaknesses, there's at the potential for a double dose of problems in the resulting puppies. For example, if you cross breed two purebreds who each have a predisposition towards eye and eye-lid problems (such as Pugs, Boston Terriers or Pekingnese), the puppies are very likely to have problems in this area. And they may be more serious than in the original breeds themselves. Admittedly one of the first designer dog breeds was the Labradoodle, which was originally bred to combine two individual, breed specific traits with a particular purpose in mind. The Labrador Retrievers' superior performance as a service dog, and the Poodles' non-shedding, non-allergenic coat. This combination produced a great guide dog for people with allergies. It works quite well in theory, but due to the nature of genetics, it's not always a 'sure thing'! An F1 (first generation) Labradoodle or Goldendoodle can have a lab like coat that sheds, an F2 is more likely to have a hypoallergenic, low to non-shed coat. It's also not safe to expect puppies from a certain breeding to get only the desirable physical/behavioral traits. They're just as likely to inherit the undesirable ones, and each individual puppy in the litter can be quite different from it's litter mates. 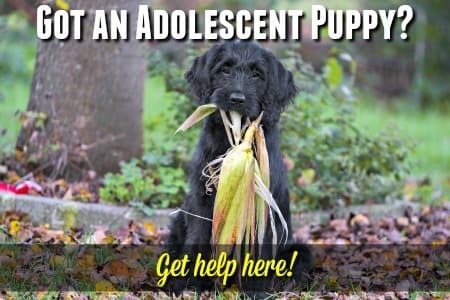 Be realistic when considering a hybrid puppy, and if there are characteristics in either of the foundation breeds that you really don't want in your dog, don't choose that particular combination. With purebred dogs you have a pretty accurate idea of your puppy's eventual size, coloring and breed characteristics. With mixed breeds it can be a complete lottery! Designer dog breeds fall somewhere between these two extremes. They're not as predictable as a purebred dog, but F1 and F2 generation hybrids will show a selection or combination of characteristics found in the original purebred dogs that founded the new 'breed'. It's also important to realize that each individual designer dog breeders' stock will vary from those of another breeder, as there are no recognized 'breed standard' to adhere to (as there is with purebred dogs). The 'look' of each hybrid is less 'standardized' than that of a mainstream purebred. Perhaps you want to be sure that the purebred you bought (but who doesn't have 'papers') isn't a mixed breed after all. Other times it's to get info. that might help diagnose an unexpected health issue, explain behavior, get more background on a newly rescued dog, or just out of simple curiosity. There are simple, ready-to-use, DIY tests that can help you learn more about the genetic background of your dog, right from your own home. For example, the Designer Dog DNA Test Kit can even tell you if your little guy is truly and F1 (first generation cross) or not. The Mixed Breed DNA Test Kit can give you lots of information about your mixed-breed's family tree. 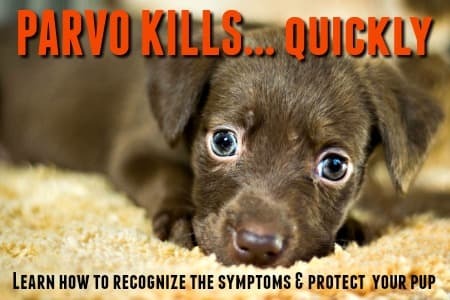 This type of information is very important for lots of reasons, including..
Health: Every breed has a predisposition to certain canine health issues and being aware of this can help you protect your pet and make sure he gets any screening he needs as well as being ready and able to recognize symptoms should they arise. Behavior & Training: Just as health issues are genetically transmitted, so are a lot of in-born breed characteristics and behaviors. It's easier to keep your pup happy and well-behaved if you understand how he 'ticks' and tailor your training, corrections and daily routine to his needs. Designer dogs are not generally considered 'recognized breeds' as such. There are no designer dog breeds that are even close to being recognized by the AKC, but the American Canine Hybrid Club has a list of designer dog breeds it recognizes and registers.